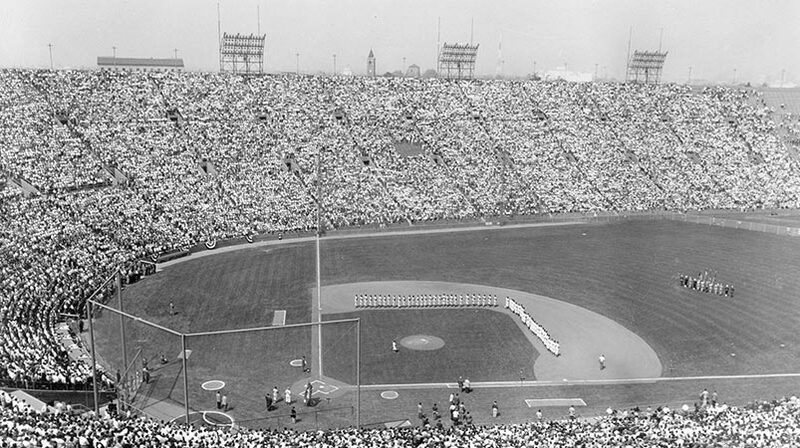 O’Malley desired a stadium which had perfect sightlines — no poles to obstruct the customer’s view of the field. He also wanted an intimate ballpark, especially capturing the feeling of bringing the players and fans close together during spring training. After all, these were only exhibition games that were to be played in Vero Beach. 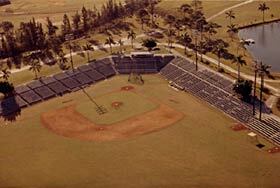 Holman Stadium with its 5,000 seats is the centerpiece of the Dodgertown complex. 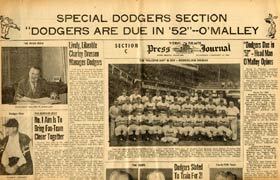 The Vero Beach Press Journal creates a lengthy special section in the paper as the 1952 Dodgers arrive.